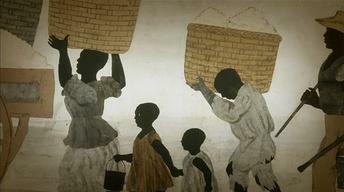 “The Black Atlantic” explores the global experiences that created the African-American people. Beginning a century before the first documented “20-and-odd” slaves came to Jamestown, Virginia, the episode portrays the earliest Africans, slave and free, who arrived on these shores. The transatlantic slave trade soon became a vast empire connecting three continents.